The United States, the largest beef consumer in the world, is accelerating a process to reopen beef imports from Brazil, the world’s largest beef exporter. U.S. President Donald Trump agreed at a meeting in Washington on March 19, 2019 with Brazil’s President Jair Bolsonaro to take steps to resume beef trade between the two countries after the United States cut off imports from Brazil in June 2017 citing concerns over food safety. The U.S. Department of Agriculture (USDA) said in June 2017 that a high amount of beef volumes from Brazil did not meet safety standards after it investigated shipments from meatpackers JBS and BRF SA. The U.S. ban came shortly after Operation Carne Fria, which found that JBS procured a large number of cattle raised in embargoed and illegally deforested areas. Future U.S. beef imports may be linked to deforestation, as cattle is the main driver of forest loss in Brazil. Chain Reaction Research (CRR) has highlighted the role of livestock in deforestation in previous reports. Approximately 80 percent of deforested land in Brazil is tied to livestock. Re-opening the U.S. market could make the Brazilian export market even more lucrative. This development, coupled with rising demand from China and other key markets, will likely increase demand along the cattle supply chain. Last year, Brazil exported 1.6 million tons, up 11 percent versus 2017, and the high production rates continued in the first quarter of 2019. Approximately 80 percent of beef produced in Brazil is consumed domestically. Almost 50 percent of export volumes head to China, where demand for Brazilian beef rose by 50 percent last year. In 2016, the last full year before the ban was imposed, the United States imported roughly 70,000 tons of beef from Brazil. That is dwarfed by the number of volumes that ship to other markets, with 10 times the amount going to China. Nevertheless, land expansion to accommodate for the increase in beef production to supply incremental volumes to the United States may lead to land clearing. The motivation for Brazilian meatpackers to meet U.S. demand is the favorable comparative pricing: The U.S. wholesale price for beef is $4.75 per kilogram, whereas in Brazil it is much cheaper at $3.79 per kilo. Depending on transaction costs (e.g. shipping, duties, etc. ), Brazilian producers could secure a higher price for their goods in the U.S. market than if sold domestically, and could still offer a product below the U.S. wholesale price. Pasture area for cattle in Brazil totals approximately 180 million hectares, and the USDA expects beef production in Brazil to reach 10.2 million metric tons this year, a rise of three percent over 2018 levels, with the increase the result of higher exports as domestic demand remains flat. Total exports are forecast to rise by 15 percent in 2019. With Bolsonaro supporting agribusiness over environmental protections, deforestation is rising. At the same time, the industry is seeing robust profits. 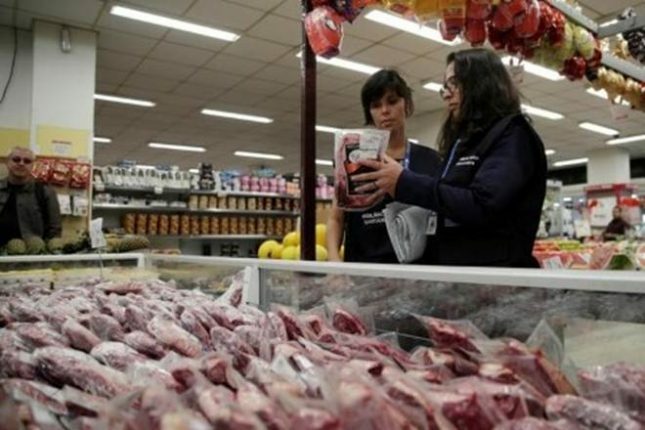 For example, JBS, the country’s largest meatpacker, announced its full-year 2018 earnings on March 29, 2019, revealing that its net revenues reached BRL 181 billion (USD 46.6 billion), the highest ever for the company. Its Brazil operations make up 13 percent of its global business, and JBS Brazil’s stock price has risen 62 percent since early October. Despite the favorable political and trading environment for the beef sector, increased deforestation could lead to financial, reputation, and market access risks for companies and their investors. JBS has already suffered from reputation risks from allegedly being involved in sourcing illegal cattle tied to deforestation, bribing meat inspectors, violating labor standards, and inflating value of its loans. These violations prompted the company to pull its planned initial public offering (IPO) of JBS Foods International in 2017.